Curtis Sittenfeld is a relative newcomer to Saint Louis, so it took a native to teach her about some local lore, specifically the time back in 1990 when a climatologist named Iben Browning predicted a big shakeup along the New Madrid fault line sometime in early December. In 1812, New Madrid was the site of the most massive earthquake ever to hit North America. Entire towns disappeared. The shocks were felt in Saint Louis, 150 miles to the north. So it made some sort of sense that when Browning predicted a sequel, everybody freaked out. There was a run on earthquake insurance and bottled water. People kept their kids home from school. Even though scientists doubted the psychic's credibility, the whole town was nervous. If you never heard of the 1990 New Madrid quake, don't feel bad. It never happened. 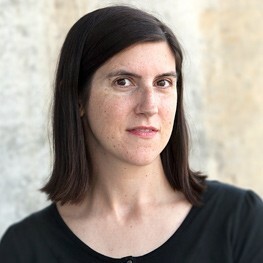 But the story did give Sittenfeld a major plotline for the book she had recently started writing, now finished and published and called Sisterland. "I thought, oooooh, that's so interesting!" Sittenfield remembers now. "The idea of the prediction and the countdown to a deadline, not from the point of view of the person who makes the prediction, but someone close to that person, who is alarmed and embarrassed." In Sisterland, the predictor is a psychic named Violet Shramm; the alarmed and embarrassed narrator is her twin sister, Kate Tucker, who has forsworn her own psychic abilities as well as her birth name Daisy in favor of what she considers a sane and ordinary life with her husband Jeremy, a professor of seismology, and their two young children. 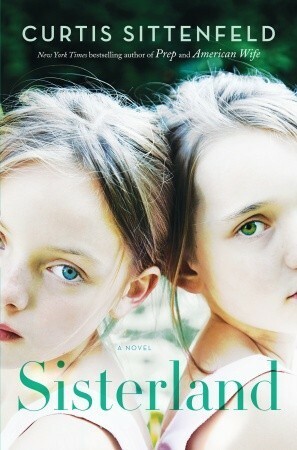 Once Sittenfeld decided to make Vi a psychic rather than a climatologist, the notion of telling the story through the point of view of her twin sister became irresistible. She already knew a bit about sisterhood from her own life—"you always bicker and you're always close"—but she did some research about psychic abilities and interviewed a few people who have, as Kate and Vi put it, "senses." "The treatment of their psychic ability was so down to earth," she says. "In the book, because the twins believe in their abilities, they're not trying to prove anything. It's a part of life. Kate has a sense and then goes and eats breakfast." Sittenfeld's feelings about psychics may be best reflected in this speech by Hank Wheeler, Kate's good friend and fellow stay-at-home parent: "'I have a confession,' Hank said, and I felt a kind of tingle, a nervous anticipation. I was both surprised and unsurprised when he said, 'I know how you feel about Vi's whole gig, but there's a part of me that believes in that stuff. ESP, psychics, predictions—the world's a pretty weird and cool place, so why is it impossible?'" In the end, of course, though Vi's (and Kate's) predictions lead to plenty of chaos and a severe bottled water shortage at area Targets, they both do and don't come true, in ways nobody anticipates. Which is entirely predictable, unless you've never consulted a psychic or read a novel. Curtis Sittenfeld will be reading from and discussing Sisterland on Thu 7/11 at Anderson's Bookshop (123 W. Jefferson, Naperville). Aimee Levitt writes about books every Friday.